“For fast acting relief, try slowing down.” – Lily Tomlin. Modern life can be likened to being on an express train that only runs between two stations, the one where you board and the one where you alight. The common complaints of ‘not enough hours in the day and too much to do to fill them’ arriving on a regular basis. We really need to get off this never-ending stressful ride more often, for our own health and sanity, if nothing else. I know it’s easy enough for me to say it but, it certainly helps my well-being to be able to take a step back now and again. 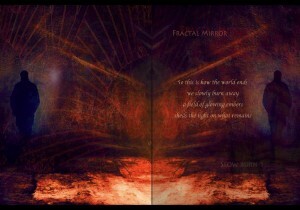 Fractal Mirror is an international recording band. Leo Koperdraat (keys/guitars/vocals) and Ed van Haagen (bass/keys) have made music together since the 80’s in the Netherlands. They met Frank Urbaniak (drums/lyrics) online and compose and record their music via transatlantic data exchanges. While Ed has visited the US during mixing sessions, Leo and Frank have never formally met. The band’s name and compositions are a reflection of their passion for the wide variety of music that has influenced them and has provided the soundtracks for their personal lives. The themes in ‘Slow Burn 1’ are a reflection of the disruption that technology is triggering in all phases of life, and the platform it provides for consent and dissension about the direction in which our world is heading. There is a wide selection of guest artists helping the band on this release including Patric Farrell, Kenny Bissett Sr., Don Fast, Leopold Blue-Sky and Brett Kull (Echolyn) who, once again, mixed and produced the album. Brian Watson of Plan A Art provided the stunning artwork. Prelude is a calming opening, lowering the heart rate and getting you ready for what is to come. The signature Fractal Mirror keyboard sound and Leo Koperdraat’s dulcet tones all present and correct. There is a real light and airy feel to Miracle as it opens up. The jangling guitar and Frank’s drums giving a dreamy feel, a deliberate note is in the vocal though, all serious for a moment. The guitar gravitates in earnest and the catchy chorus is really good. Some stylish bass playing adds a touch of class to proceedings. Immediately you feel that the band have matured and progressed in their songwriting, there are layers of complexity on show here, shown in the late 60’s psychedelic feel to the opening of Numbers. The swirling organ note and deliberate drumming add a thoughtful note to the song and Leo’s vocals have an earnest note. It is all cleverly whimsical and wistful, lulling you into a serene state of calm. 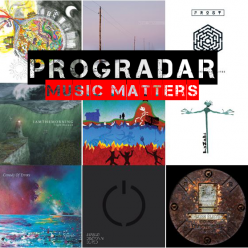 I see a new found depth to the musicians and one that I am liking a lot so far. Patric Farrell provides bass on V838 and lead guitar duties are taken on by Peter Swart. On the verse, the song has an upbeat feel, uplifting and light, the rhythm section bringing their ‘A’ game along. Leo delivers another reflective vocal performance. There’s a note of regret, even warning, on the meditative chorus. This track showcases the new, polished sound that is crystal clear and lush. A contemplative and plaintive note pervades Floods. This song has an almost melancholy and ethereal beauty to it, I listened to it with my headphones on and was lost in its sublime, calming grace. Charlotte Koperdraat and Kitty Diepstraten add serene backing vocals, there’s some heartfelt guitar playing and you are left with a blissful lightness of being. That sanguine, optimistic note returns on Mist, positive drumming, quick-stepping keyboards and Leo’s buoyant vocal all come together to give the song a really upbeat note. Stopping just sort of becoming annoyingly twee, with Don Fast’s elegant 12-string, it left me feeling like I could take on the world, the sun was shining and everything was right with the world. Both Enemies and Embers have a determined and businesslike note to them. While at first resonating a little less with me, they are both still clever, involving pieces of music that did, at first, seem a tad one paced. Charlotte returns on backing vocals for the former, this time joined by Jason Himmelberger. Both songs initially seemed to lack the instant involvement of the rest of the songs on the album but, after repeated listens, they both proved to be slow burning diamonds. It is true that all comes to he who waits, apparently…. A delightful guitar note opens Fading before a tidy drum roll introduces the rest of this feel-good track. A jangling guitar riff and Leo’s expressive vocal add another layer of benevolence. A proper ‘foot-tapper’ it seems to fly along slightly out of grasp with its more AOR friendly feel. Throw in a Peter Gunn style riff and you have another song that lifts its head above the parapet of normality on this increasingly impressive release. Artifacts is another smoothly polished song that just drips panache and style and yet seems to suffer slightly against the inspiration of some of the other tracks on the album. It is a rather nice piece of music anyway, great vocals from Leo and Jason again, combine them with the superlative musicianship and you will never fall below rather good but, to me anyway, there just seems to be something lacking. However, the final track on this expressive musical world of wonder is every bit as good as, if not better than, the rest. Universal is Fractal Mirror doing what they do best, sumptuous music, intelligent songwriting and delightful vocals combine to give over eight minutes of intriguing and involving musical enchantment and it really does leave you on a high. On this final song, the majority of the musical guests make a final appearance with Patric Farrell, Kenny Bissett Sr., Leopold Blue-Sky, and Dan Fast all joining the exuberant gathering. The harmonised vocals are just one of the joys on show and the song runs out with a serious feel of the Beatles circa Sgt. Pepper. A band that constantly strives to improve and progress, Fractal Mirror’s new album is testament to their devotion to this ethos. ‘Slow Burn 1’ is a multi-faceted delight and a joy to behold. I doff my cap to you gentlemen, after ‘Garden of Ghosts’ I expected something special from you and, boy, have you delivered! In a great exclusive for Progradar, the eclectic Dutch band Fractal Mirror are due to release their third album ‘Slow Burn 1’ in February 2016 and I was extremely lucky enough to catch up with band member Leo Koperdraat this morning and find out more details about this highly anticipated release. Fast forward nearly twelve months and the band are about to release ‘Slow Burn 1’, what’s the main differences between the two records? The band could also be looking at a Crowd Funding option to finalise the album. I was also lucky enough to listen to one of the new tracks from the album called Numbers and it showcased the evolution of the shorter tracks with great vocal arrangements, add in some rather intense guitar work on show and it all augurs well for the new album. 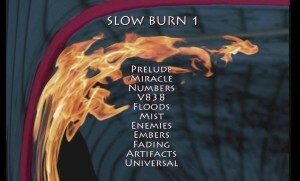 ‘Slow Burn 1’ features Brett Kull (Echolyn) again on every track and there are guest appearances (so far) from; Don Fast (guitars), Charlotte Koperdraat (backing vocals), Patrick Farrell and Kenny Bissett Sr (from B4tF on BV and bass), Jason Himmelberger (from Jhimm on BV), Peter Swart (guitars) and Leopold Blu Sky (From Unto Us/Mike Kershaw on Bass). Larry Fast will be mastering again. The expected release date is February 2016. The striking artwork is provided, once again, by Brian Watson. 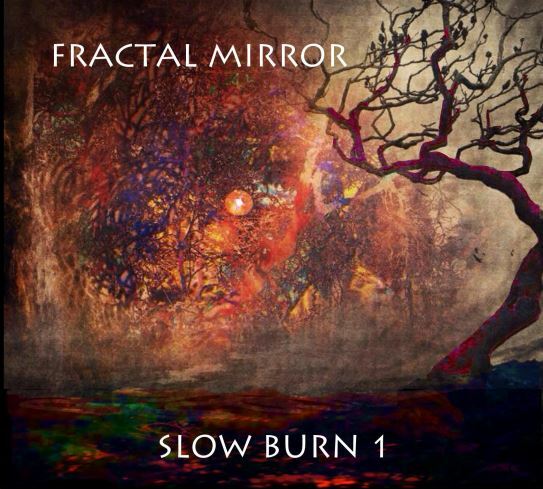 I was really impressed by the one track I heard and, if it is representative of what is to come, I am sure that Fractal Mirror will deliver another outstanding and immersive musical experience.